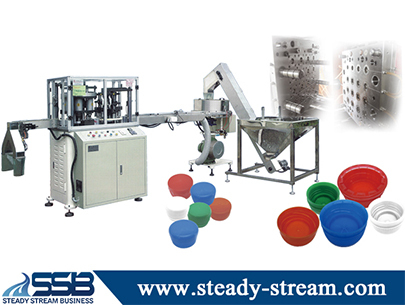 The cap slitting machine is for packaging application assembly line. 4. Product Type and required process such as folding or others. 2. Closure Mold with Slide Mechanism. -SCT-400 / 400 pieces per minutes. -SCT-600 / 600 pieces per minutes. -SCT-800 / 800 pieces per minutes. -SFS-400 / 400 pieces per minutes. -SFS-600 / 600 pieces per minutes. -SFS-800 / 800 pieces per minutes.